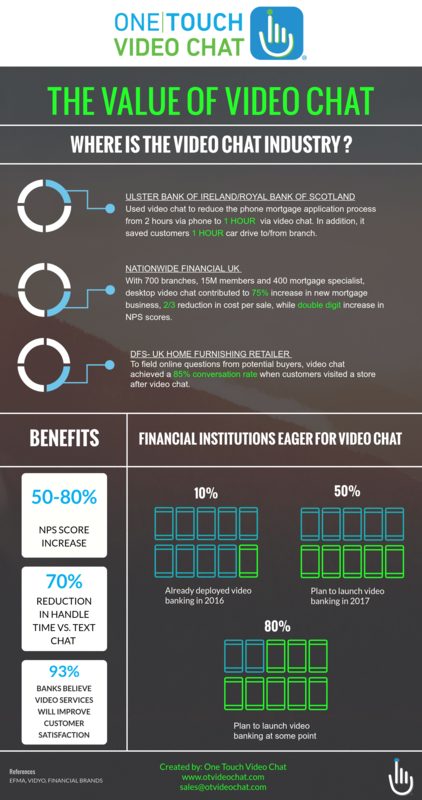 See what video chat for financial institutions is doing to top line growth for other organizations. Video Banking has been proven in Europe for years! The United States consistently follows technological trends originating in Europe. Video chat for financial institutions is not futuristic, it’s here. Use cases from 3 European Banks demonstrate the value of video chat in their business model for Rapid and Significant ROI. See which use cases and areas of opportunity solve your business cases. 50% will implement in 2017. 80% will implement video banking solutions at some point. Find out more about video banking and video chat solutions for financial services.